This site often talks about young, brand new artists who were groomed by their record labels and released onto the world with a carefully calculated gimmick. Well, this article will not be about that kind of artist. It will be about a 76-year old icon who was part of the most influential group in the history of pop music and who attained the title of “living legend” about three decades ago. 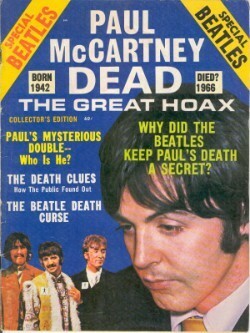 Those who believe that “Paul is Dead” analyzed the facial structure of the real McCartney versus the fake one, decoded hidden messages in the band’s song lyrics (some in reverse) and interpreted symbolism found in The Beatle’s album art. 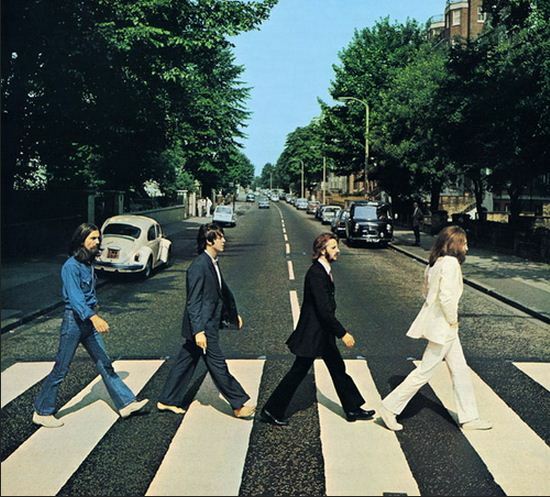 The iconic cover of the album Abbey Road was interpreted by proponents of the “Paul is Dead” theory as a symbolic funeral procession for Paul McCartney. John Lennon, dressed in white, is said to symbolize the heavenly figure; Ringo Starr, dressed in black, symbolizes the undertaker; George Harrison, in denim, represents the gravedigger; and McCartney, barefoot and out of step with the others, symbolizes the corpse. The number plate of the white Volkswagen Beetle is “28IF” – representing McCartney’s age “if” he had still been alive. 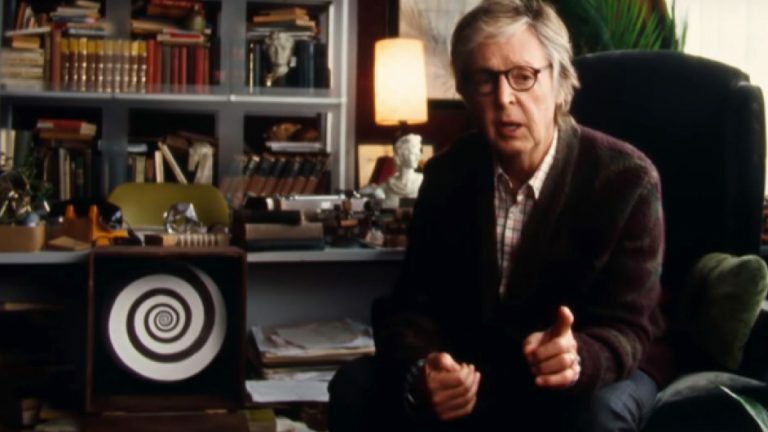 Furthermore, the left-handed McCartney holds a cigarette in his right hand which also supported the idea that he was an imposter. Whoever Paul truly is, that person went on to have a long and prolific career. And he doesn’t appear to be close to retiring. His latest album Egypt Station debuted at #1 on the US Billboard 200. 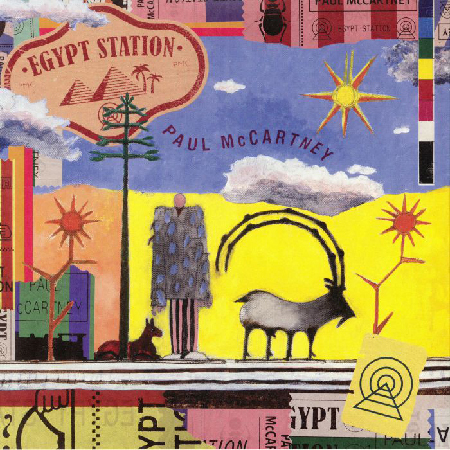 The album cover of Egypt Station. Readers of this site will probably recognize some symbolism in there. However, in this day and age, to remain part of the industry (even if you’re a “living legend”) you must embrace the elite’s agenda. And show your submission. And Paul did what he had to do. 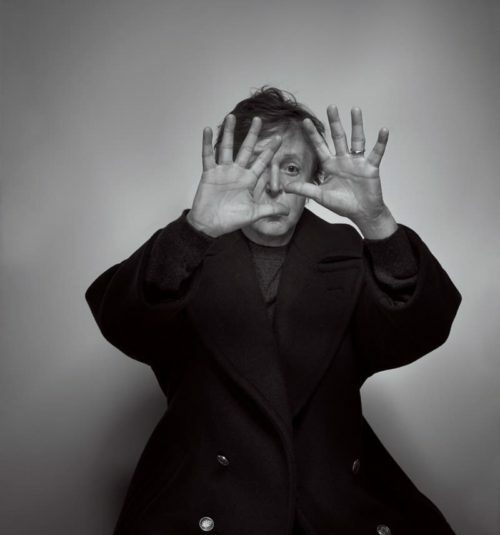 This is Paul McCartney’s photoshoot with GQ magazine around the time his album was released. Hiding one eye = submission to the occult elite. Paul’s latest video Who Cares is yet another example of this fact. While the song has a distinct 1985 feel to it, the video is very 2019. Indeed, it has all of the symbolism and mind control messages found in countless pop videos nowadays. Humm ?? Beatles are my generation & I couldn’t understand why the become so famous ?? In the sixties, there were more Rock bands that were more talented & better than they were ever ? ?Personally, them & Rolling stones repelled me then & today ? ?